An interntional alert has today been issued for a 1980 Carleen Hutchins viola – stolen in the early hours of Friday 13th November, 2015 in St Kilda, Melbourne, Australia. The viola, left at the time in the trunk of a car, bears the label: ‘Made by Carleen Hutchins. New Jersey 1980. Serial No. 240’. The viola was in a black case at the time of the robbery – which had distinctive black gaffer tape on it’s top. The case also contained a silver-blunted AR Sandner viola bow. Any information, please urgently contact the Melbourne Symphony Orchestra. 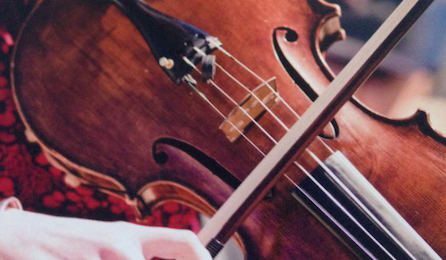 The incident comes just days after The Violin Channel issued an international alert for a $1,000,000 cello stolen from a car in Los Angeles.